Hello, Glamazons! 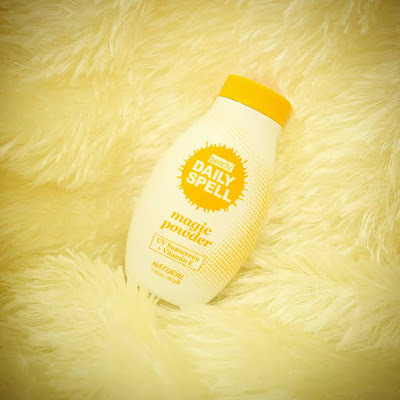 One of the best beauty finds to kick off this year's glam is the Bench Daily Spell Magic Powder. 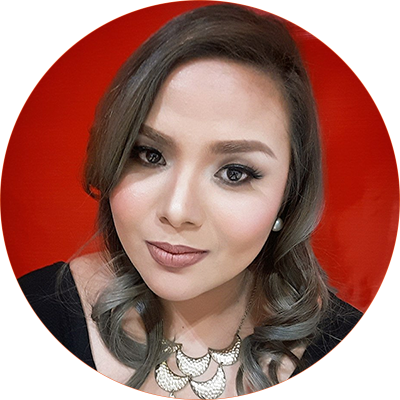 Julie, of As Told By Julz, got it for one of our Glam Squad shoots and she used it for baking on our 500 peso Makeup Challenge. At only Nineteen pesos and fifty centavos, it was certainly a steal. We all wound up buying it for ourselves after Julie told us how well it worked for her. I've never used any setting powder this affordable and I was honestly a bit skeptical and even a little apprehensive that it might cause breakouts on my skin. I was pleasantly surprised at how well it performed for finishing my motd and so relieved that after several uses, my skin had no untoward reaction to it. It reminds me of Coty Airspun, which is a great setting powder but has a scent I don't quite like. Bench Daily Spell Magic Powder offers the same flawless finish without the granny smell. It's unscented! That's something I really love because I prefer products without any fragrance. It has a mixture of both pink and yellow undertones and performs well as a setting powder. Initially, I felt it wasn't a match for me because of the pink undertone--- I'm more yellow than pink, you see... But once I learned how much of it I needed to use and how to work with it, it's become a beauty fave! The oil control is quite impressive and the finish is seamless. To rate, my top 1 finishing powder is Ben Nye, 2: RCMA, 3: Bench Daily Spell, 4: Coty, 5: naturactor, and 6: Nichido Final Powder. All of which are great powders in my book. 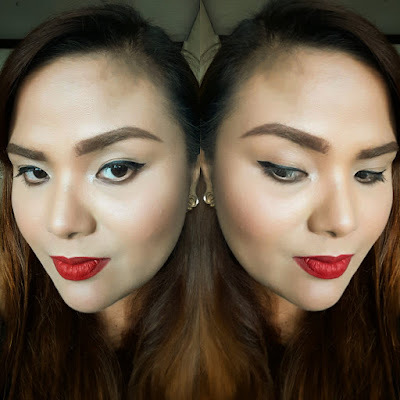 Here is a pic of me using Bench Daily Spell Magic Powder as my setting powder. You can buy this fabulous powder from any Bench outlet and really, for just 19 pesos and fifty centavos, what have you got to lose? Try it and see what it'll do for your MOTD.